Did you accomplish your goals? YES! Did you post every day? YES! I hadn’t blogged for a few months and only decided to take part this year at the last minute. During 2012 i wrote a short story (or scene) every single day, but since then I’ve been struggling to get back into the habit of writing daily. So my goal was to use the challenge to get back to that happy place lol. Now thats definitely worked. Ive just got to make sure i keep it up now lol. Of all the blog posts i read during April (and there were hundreds) there was one that, even now its all over, i still think about. 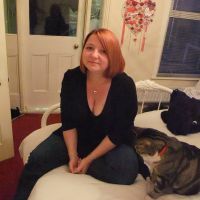 Christine Marie over at her blog Fragments wrote a “G” post about her insecurities. I went down her list going yep…yep…yep… A very powerful piece of writing, please do check it out and see how many of those statements you’ve said to yourself. It made me think about my writing, my lack of confidence, and that i really need to stop being so negative about my work. I’ll never be the best writer in the world, but do i need to be? 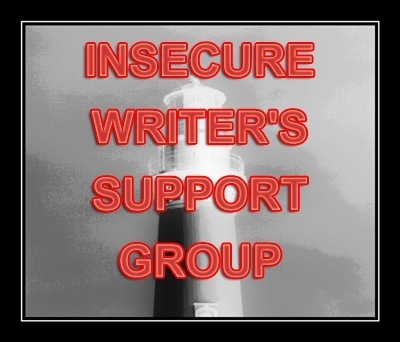 Ok, thats enough, or this post will turn into an Insecure Writers Support Group post lol. Ive had a fun but exhausting month. Its made me realise how much i miss blogging…so i guess you could say I’m back 🙂 I’ll be posting at least a couple of times a week from now on. If you took part in the A-Z how did you find it? Did you have fun? This entry was tagged A-Z Challenge, Blogging From A-Z Challenge, Inspiration, Writer, Writer Resources, writers, Writers Resources, Writing. Bookmark the permalink. This is like the chicken and the egg, which came first, the insecurity or the writing? I think most of us who write are somewhat insecure, always wondering if the book is good enough, if anyone will like it. It’s probably one of the reasons negative reviews knock authors back so easily. Just look at your followers and realise your blog wouldn’t have half so many if you didn’t interest people. You wouldn’t get so many retweets if the content wasn’t interesting. The medicine worked. I look forward to your next challenge Vikki. How about 1-10 or more if you feel like it. I’ve missed your regular writing blogs! And I love what I’ve read of your stories. I get the insecurity stiff when it comes to writing. It took me a long time before I even told my hubby I was writing a book. But then again, I’m the type that once I get an idea in my head I run with it even if I end up looking like a fool afterward. No regrets that way. I tried it. Good luck Vikki and glad you survived the A-Z!! It was a hard slog, but it was worth it to meet so many new-to-me bloggers. As for being the best writer, I saw a quote someplace about how wanting to be a writer was what prompted you to become a better writer. And by having taste, that makes you better, just because you strive to be better. Although, my favorite one reminds us that practice doesn’t make perfect. Practice makes better. Well, something like that. I’m glad it’s over…I feel like I have time to read again! But I’m even more glad that I did the challenge. It was a great way to meet and bond with other bloggers over similar goals and now I have more great blogs to follow! I pre-wrote a lot of mine early on and scheduled them to post. I kept it short–I was amazed how many people wrote long narratives, then complained about how hard it was to find something to write about every day. But then, maybe it’s harder for some to keep it brief? Yeah great post! You’ve done well and to me you have great creativity here! So I guess you should feel very proud of yourself indeed! It’s hard to work on the negatives, at least for me. I doubt they will ever completely go away. For me, writing is a form of therapy. I sometimes struggle with severe depression. I’m visiting from the A to Z list. Our team’s reflection post is at “a href=”http://crazytowninlooneyland.blogspot.com/2014/05/a-to-z-reflection-post.html”>Crazy Town in Looney Land. This was my 3rd or 4th year doing the A2Z, and I learned a lot. The biggest thing is to simplify and focus on a single thought. Long posts make my eyes glaze over. Plan and prepare is the next biggest thing. Think should have probably been # 1, but oh well.Thanks for participating. That’s a a pretty good post. I know about have a hard time writing sometimes. Getting rid of those negatives is not easy. This was my 4th A to Z challenge. It was hectic for me because I juggled admin duties as well. But I had loads of fun and I made quite a few new blogger buddies too!